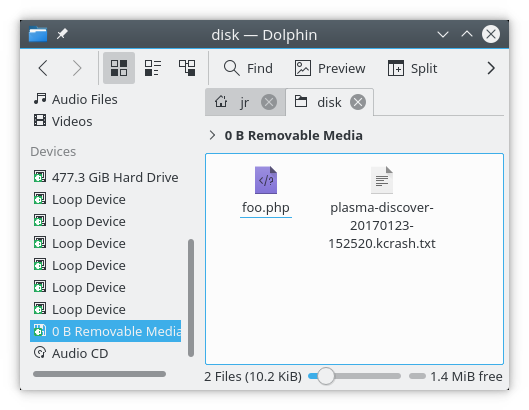 So how does KDE applications do for legacy media? Mixed results. 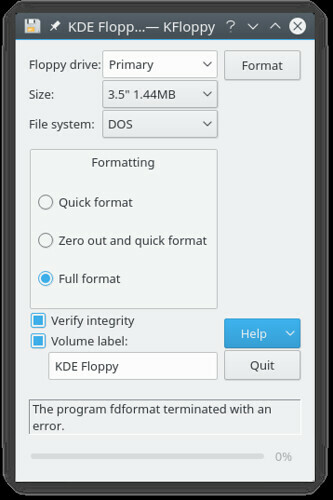 However classic KDE tool KFloppy less so, it hard codes locations in /dev to find the floppy but my USB floppy drive just appears at /dev/sdc, even one I fixed that it uses an external tool which breaks fdformat. Meanwhile CDs are also something we ship apps for but never test. This makes the Plasma Sprinters sad because they desperately want to hear Love Is a Stranger. kio-audio CD didn’t work but then when we looked at it again it worked perfectly, don’t you hate when that happens? 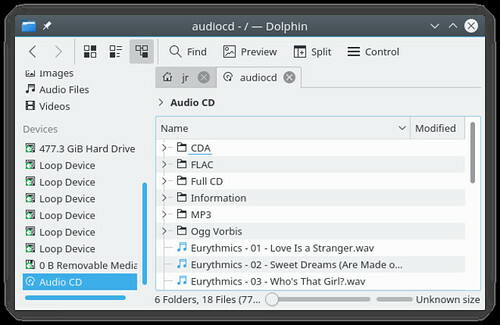 This was a killer feature of KDE back when everyone was ripping CDs to their hard disk for the first time. Playing Audio CDs natively less successful, Amarok shows it as a source but says it has 0 tracks. Dragon plays it fine but Dragon has no concept of a playlist so you can’t select a track. kscd works but is a perfect example of why skins and client side window decorations are a bad idea because it still looks like it did years ago. Where else does KDE support legacy formats that need checking up on?